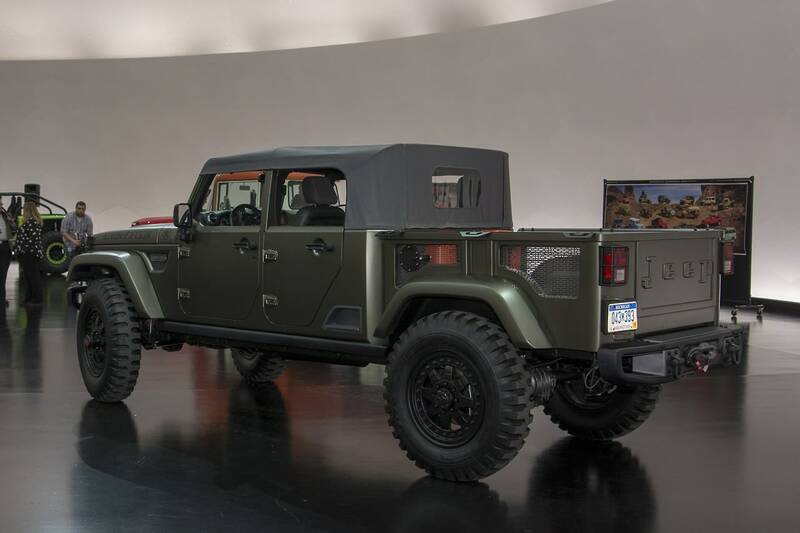 Incredible custom Jeep design military inspired. 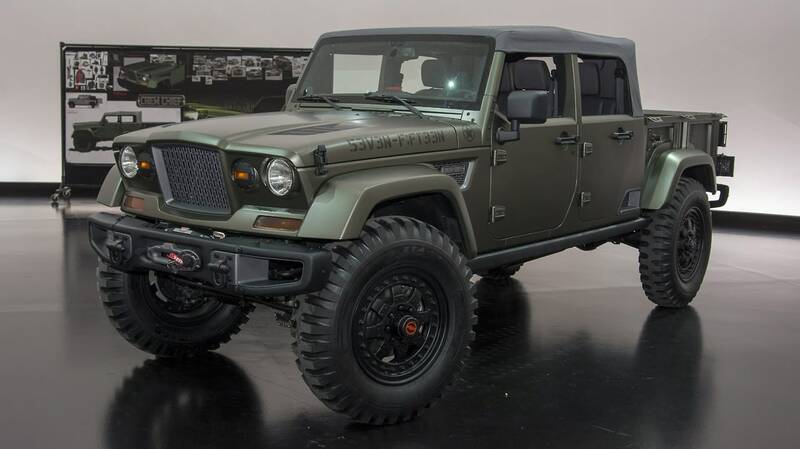 This Jeep Crew Chief 715 custom build vehicle has 40 inch wheels, military color palette, tactical green. I just love it. 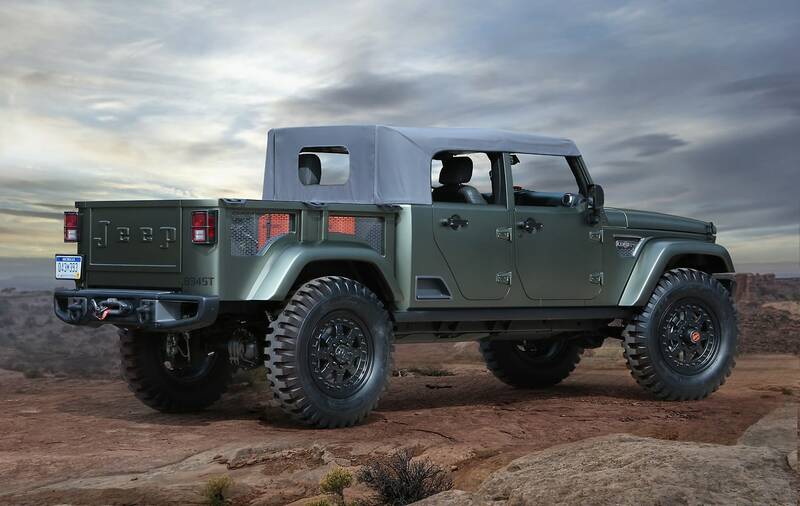 Watch the video of the Crew Chief 715 concept from the 2016 Easter Jeep Safari in Moab, Utah. 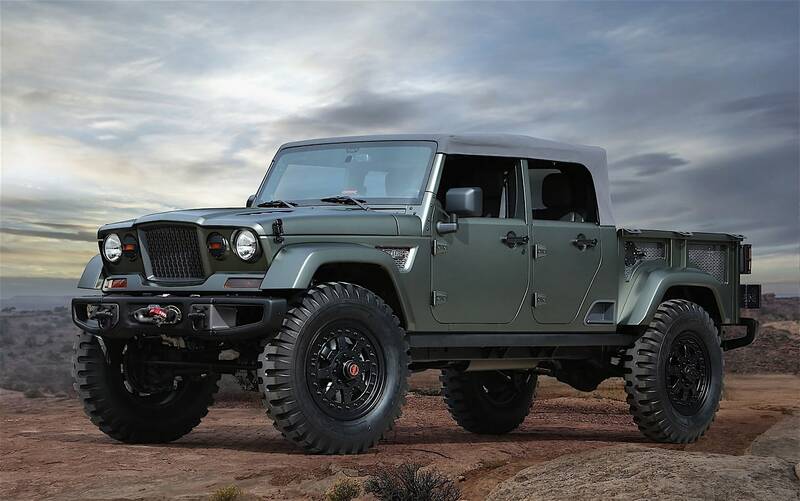 Yes this is going to have to be my next vehicle in 2018 or so when the Jeep truck is available. I can't wait!